We have been providing hog roast catering on the south coast for over 20 years and during that time we have become masters of our craft. We take pride in the part we play in making your day extra special by supplying top quality locally-sourced food that can be prepared in any location. We strive for perfection at every event we cater for and we put just as much effort into providing buffets for smaller occasions as we do for large scale celebrations. For the Hog Roast Southampton team, no two events are the same and we always work closely with you when planning our menus and style of service to ensure everything is exactly how you want it. We understand that excellent food and impeccable service makes the difference between an average party, and one your guests will be talking about for years to come. That is what we guarantee to deliver every time. We are always happy to make any necessary alterations to our menus to ensure all dietary requirements are satisfied and we can adapt our approach to suit the theme and size of your special occasion. 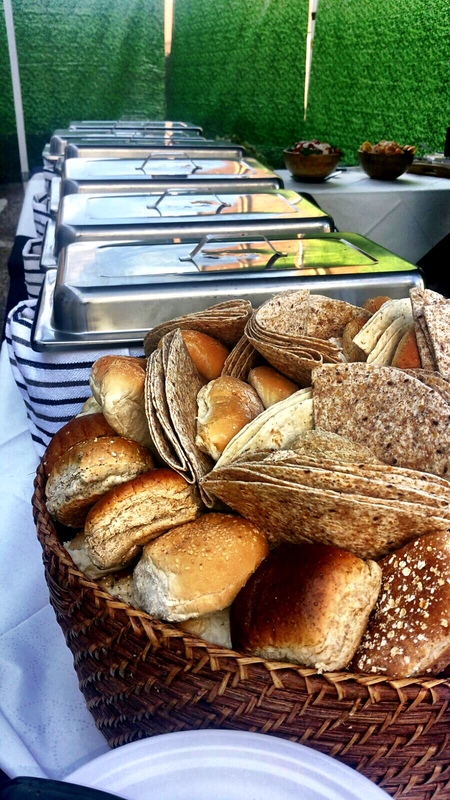 For Hog Roast Southampton, no detail is too small, and no occasion is too big when it comes to catering in our seaside city. Our attention to details is what our customers love about us. For formal occasions, we can provide our own handmade canapes and a drinks reception, or a 3 course wedding meal complete with table service. Our culinary versatility works in perfect harmony with our ability to cook in any indoor venue or outdoor location in the whole of Southampton. We can cater for any manner of celebration either on the coast or further inland, and with menus to suit all tastes and events, Hog Roast Southampton provides a unique dining experience every time. You will not find a more experienced or professional hog roast catering company in the whole of Southampton. Not only are we the local leading experts in the fine art of slow-roasted pork, we can offer so much more than that. Both our machines and chefs are adept at preparing a wide variety of menus depending on your preferences and budget. Our state of the art hog roast machines and highly versatile catering team can provide sirloin of beef, organic chicken or spring lamb if you would prefer that to pork, or if you don’t like meat at all, we have a range of tempting vegetarian options and salads to compliment all of our main courses.